20/12/17 - Christmas Jumper Day! 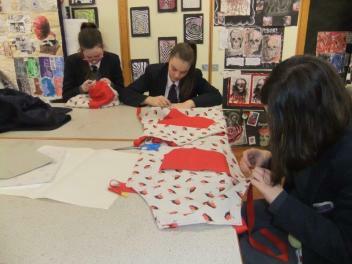 Pupils got into the festive spirit on Monday 11 December with their Christmas Jumper Day. 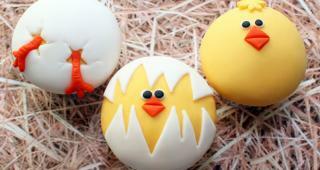 Pupils very kindly donated £2.00 each to go towards Southern Area Hospice. Joe Donaldson (9A) is pictured presenting Mr Gary Graham £380 in support of his fundraising efforts for Southern Area Hospice. Gary will be running the London Marathon in April 2018 in aid of this amazing charity. 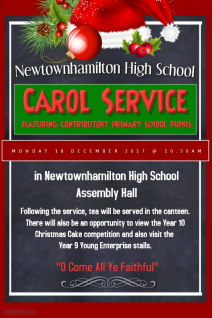 He wishes to thank everyone at Newtownhamilton High School for their generous contributions. A big thank you to all of the pupils who supported our Social last night and to all of the School Association Members who helped to organise it and provide supervision. 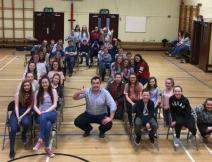 Matthew Keys worked his magic as usual and facilitated a fun environment so everyone could relax and let their hair down after a busy term. 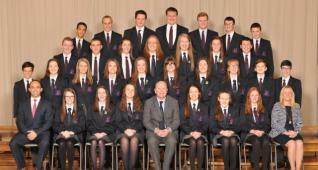 Thanks again to all involved. 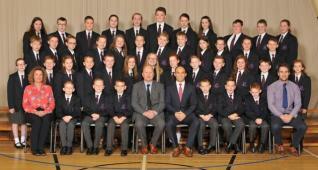 Year 10 Pupils travelled to Newtownards on Wednesday 13th December to visit the Battle of The Somme Heritage Centre. 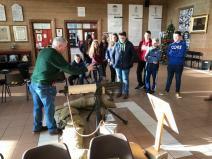 Pupils are due to begin studying the Battle of The Somme in the new year in History and therefore this trip provided pupils with a fun, interactive introduction to the topic which gives pupils context and first-hand understanding. 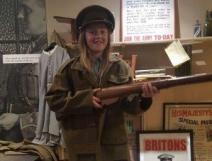 Pupils were shown displays and videos giving details about Britain and Ireland before WW1, learnt about the Efforts at Home to support the War, found out about some notable participants in the war and were given a tour of the trenches - a very realistic and informative experience. 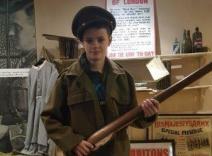 This was indeed a very unique and meaningful learning experience for pupils which has definitely generated enthusiasm for pupils to take into History next Term. 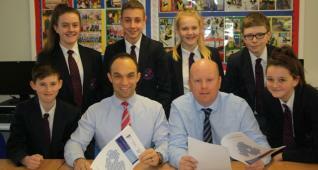 Many thanks to Mrs Reid, Mrs Hendren and Mr Coils for supervising. 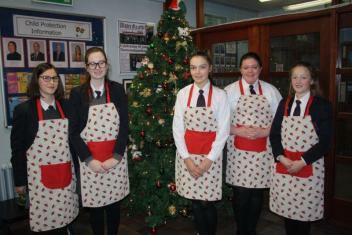 Well done to a group of year 10 girls who successfully completed making an apron. 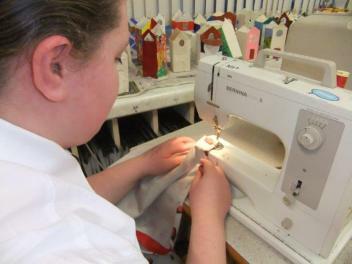 Six pupils stayed for an after school textile club where they learnt some basic sewing skills. 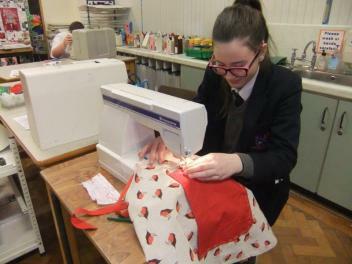 Skills such as pattern cutting, tacking, hemming and working a sewing machine. 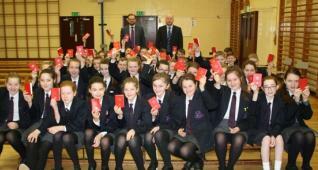 These will make great Christmas presents or a useful souvenir from their school days. 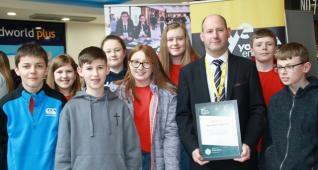 On Wednesday 6th December, Year 9 pupils accompanied by Mr Coils, Mr Riddle & Mrs Graham travelled to Belfast to engage in some market research for their Young Enterprise Project that they are doing through LLW in school. 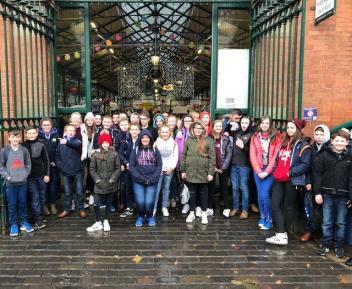 First stop was St George’s Market where pupils were able to witness first hand how a Young Enterprise competition works as today was the turn of senior pupils from across the Province who were there to showcase their products. 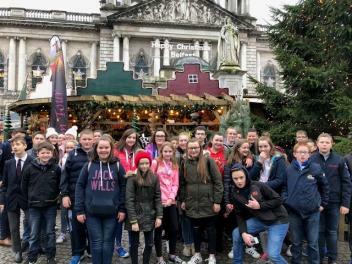 Next on the whistle-stop tour was an obligatory visit to the Belfast Christmas Market - once again pupils were able to see how traders entice potential buyers and were able to engage in some “haggling” of their own! Lastly, pupils had the opportunity to look at window displays in CastleCourt and make an all important stop to McDonald’s before the trek back to Newtown from “The Big Smoke”. 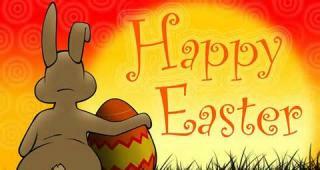 All in all a very useful day which was enjoyed by all. 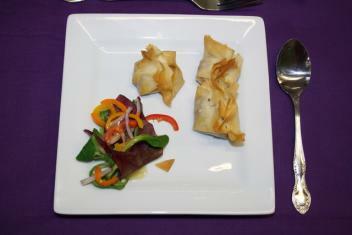 Pictured below are a few images of fine cuisine produced by Year 12 Group 2 pupils GCSE Home Economics Practicals. 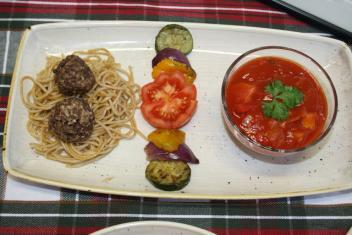 Well done folks - the food looks superb! Year 8 travelled to Armagh RFC on Thursday 30th November to play in a blitz competition. 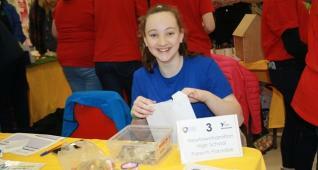 There were a range of teams from as close as neighbours St Patrick’s, Keady to as far afield as Castlederg HS. After a shaky start the boys got into the swing of things and began to show some good potential and some very impressive skills- this was some of the boy’s first ever rugby games therefore it is promising to see what the future will hold for this squad. A few later matches were closely fought and the boys eventually came away with 1-1 draw against St Patrick’s, Keady with Philip Gibson scoring the equalising try in this game. Very well done to the boys involved and certainly not the last from this lot on the Rugby Pitch!